Sorry again for having to cancel last week´s class, caught a nasty bug on new years day which took the wind from my sails. So glad to have finally shaken it and hope you are all feeling good, if not i hope you will feel better soon. Delighted to announce our meetup is resumed from tomorrow at 6.30pm at the Lick Warehouse. Intention is to be with whatever you have and wherever you are (so don´t let the new year pressures get you down). Lots of mats are available to borrow (first come, first served) and class is “pay what you can”. There are toilets in the building if you need to change. Maps and directions below – You can also join us on Facebook. And read more about my journey and the Lick project here. 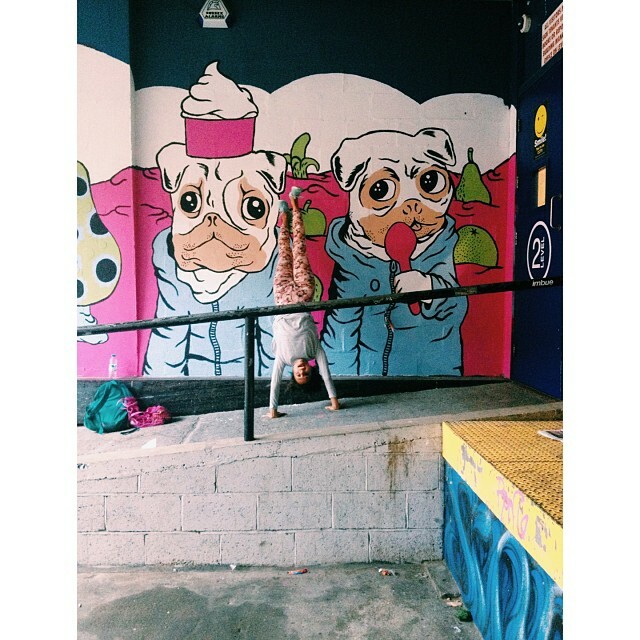 A friendly, safe, nurturing and fun class followed by free fro-yo should you fancy after class. 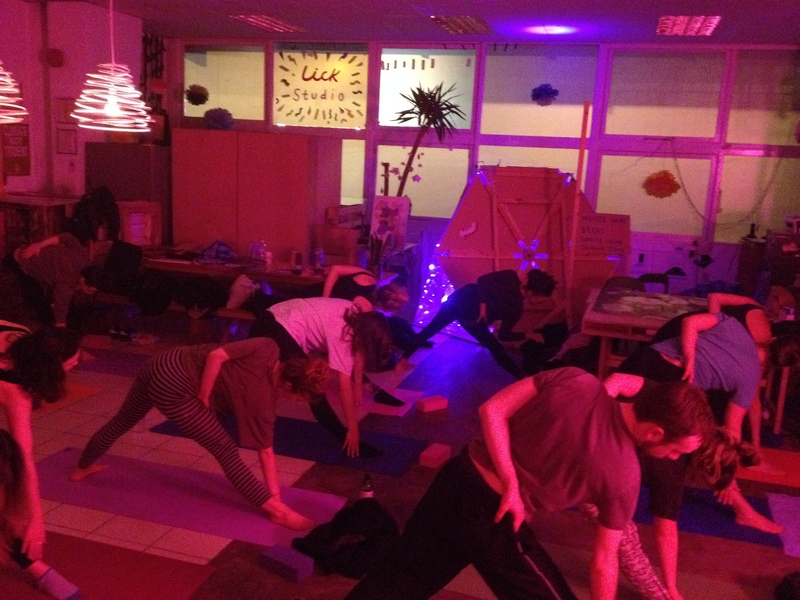 I am inspired by many styles of yoga including Scaravelli, Vinyasa flow, Jivamukti and Restorative/Yin yoga. Each class is different, the emphasis is on you having your own experiences rather than having to look or perform a certain way. I curate a soundtrack with the sequence and theme for each class. Any body or level or experience is welcomed and props will be available and you can choose to use them or not. That’s OK! There are all the mats and props you can borrow! *come in on the side “lower” entrance of New England House by the graffiti pictured below (floor 2). Please arrive at least 5 minutes before class so that you can get settled into your mat! Feel free to contact me to discuss anything else. Usually, the best remedy to your queries is to come and TRY! 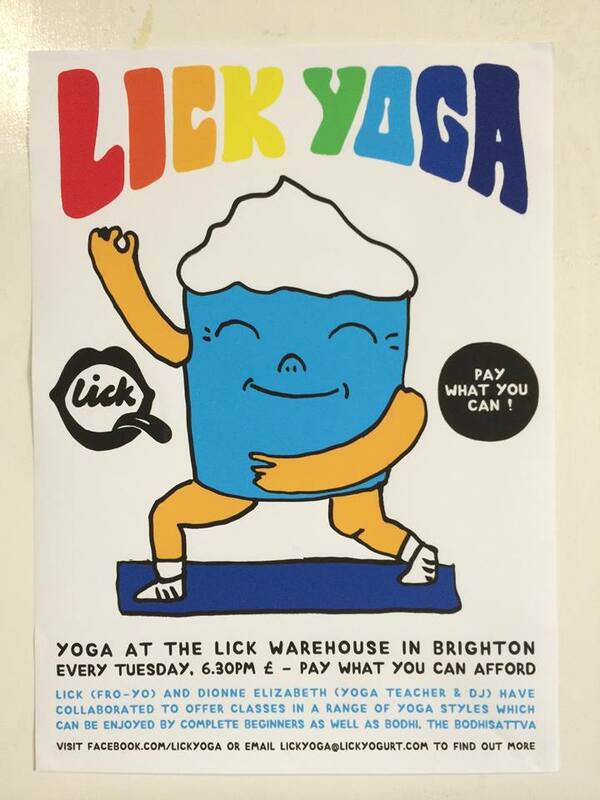 This entry was posted in Uncategorized and tagged Brighton, brighton yoga, lick yoga, Lick yogurt, pay what you can yoga, yoga with dionne. Bookmark the permalink.